I haven’t been very creative lately – or anything, really, except lazy (maybe “relaxed” is a nicer word). But I’ve done a few projects since my last post about commissions. 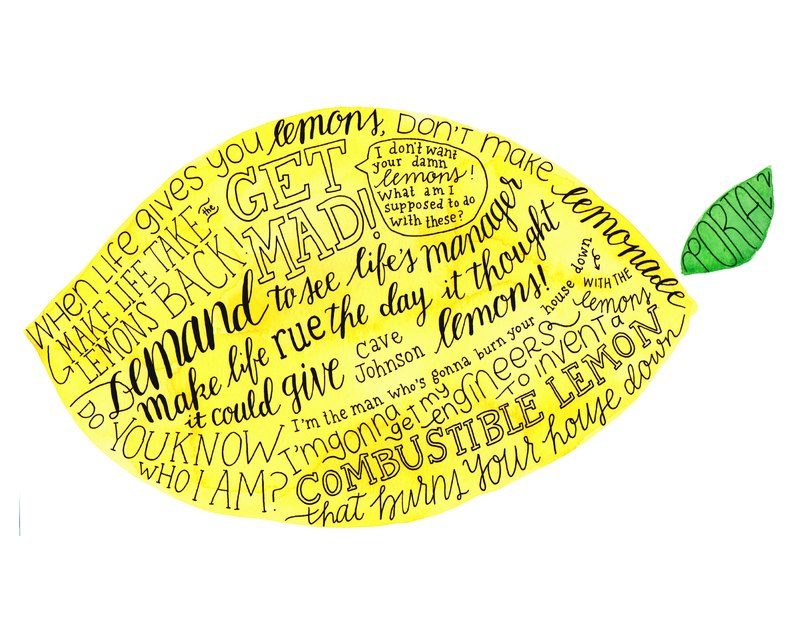 For Jarom’s birthday, I made this lemony quote from Portal 2. I haven’t played the game, so I can’t comment on that, but I worked really hard on making something Jarom would love. It’s hanging in an awesome frame (and hand-painted mat!) in his office, so I guess he likes it well enough. 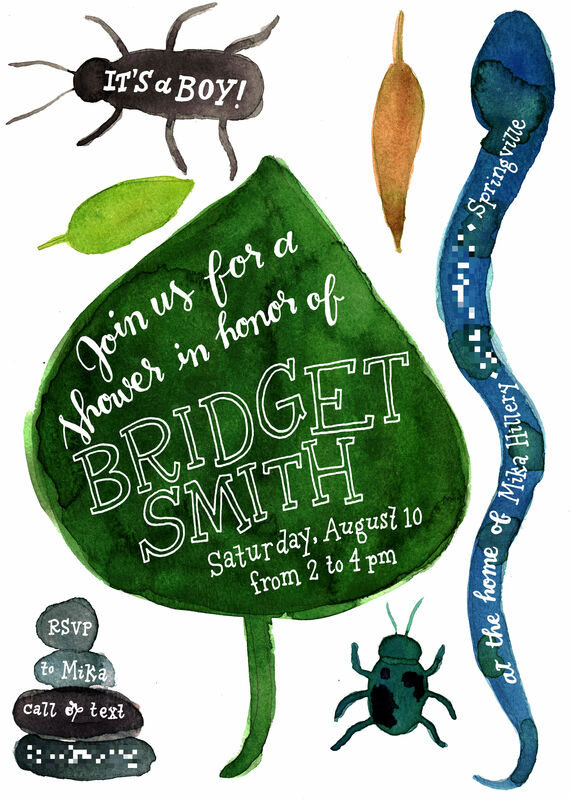 Overall I still looooooove these baby shower invitations I did for my friend Bridget. 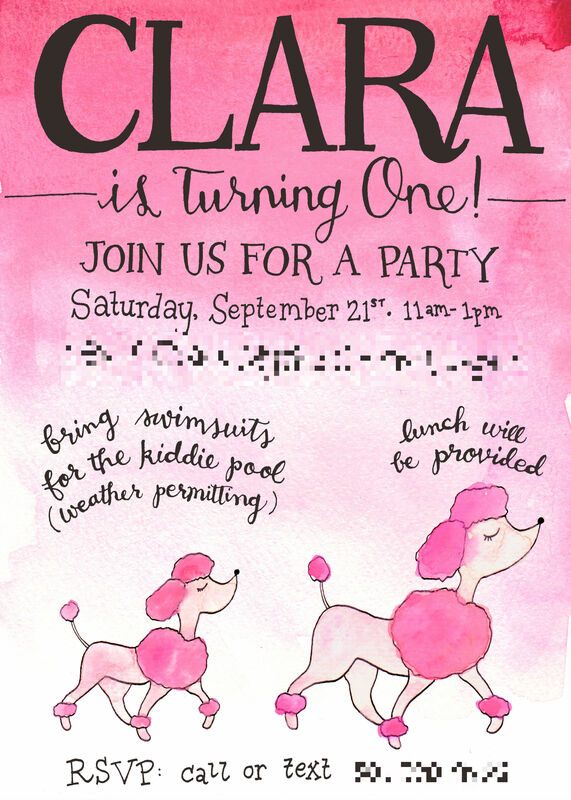 My friend Kimberlee’s daughter had a pink poodle-themed first birthday party. I got to design my own alphabet of drop caps for the four-volume hardcover edition of Spark. Go me! This wasn’t my original idea for our 2013 Christmas cards – I hoped to actually screen print a folk design – but I ended up with this cross stitch-inspired card. 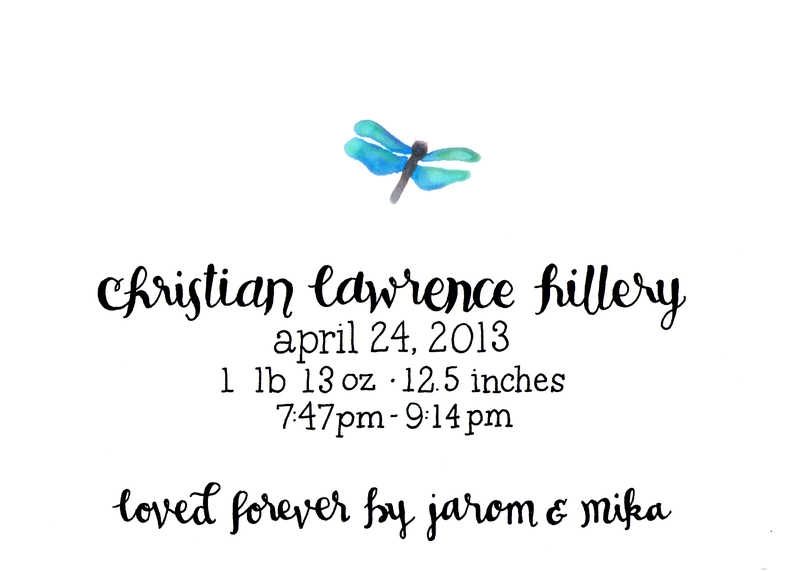 I did these for a fellow babyloss mom (surely there is another term, but I usually say “Dead Baby Club buddy” and that’s maybe worse) when she and her husband were able to adopt a baby boy last year. Hooray! 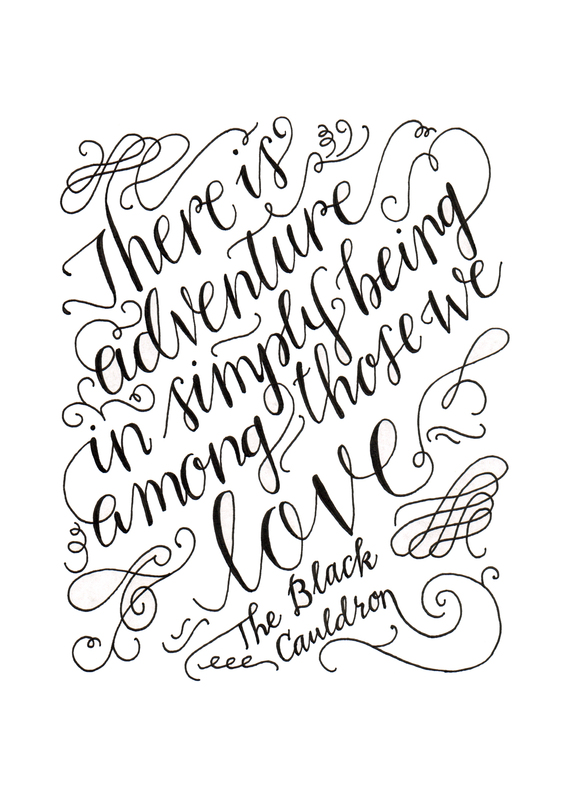 One of my favorite quotes: “There is adventure in simply being among those we love.” From one of my favorite series (The Prydain Chronicles). Unfortunately, I hate my handwriting! It just looks so . . . unpracticed. 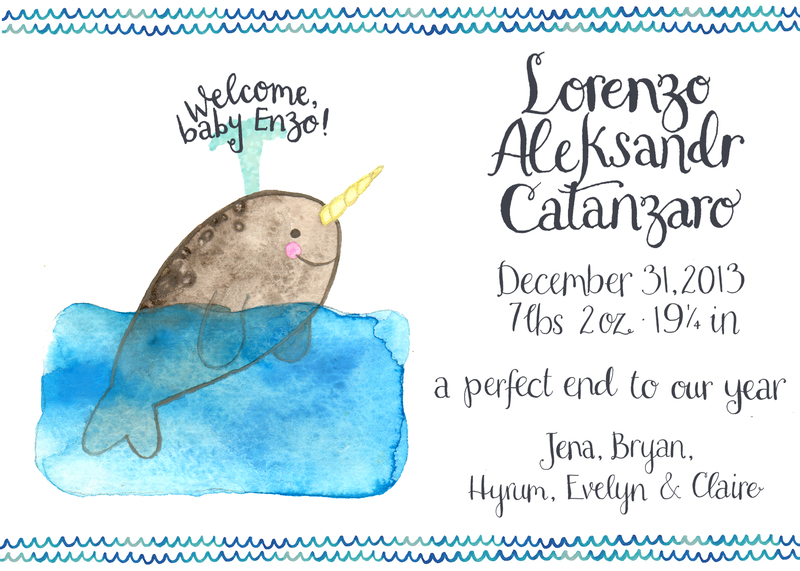 My brother- and sister-in-law had me design 2 baby announcements: this narwhal and the hedgehog below. Also, I’m still (maybe always will be?) in that beginner-ish stage where nothing comes out looking like I wanted it to, and is instead many levels below the amount of awesome I imagined. So I felt dumb trying to ask people to give me money for what I viewed as mediocre work. 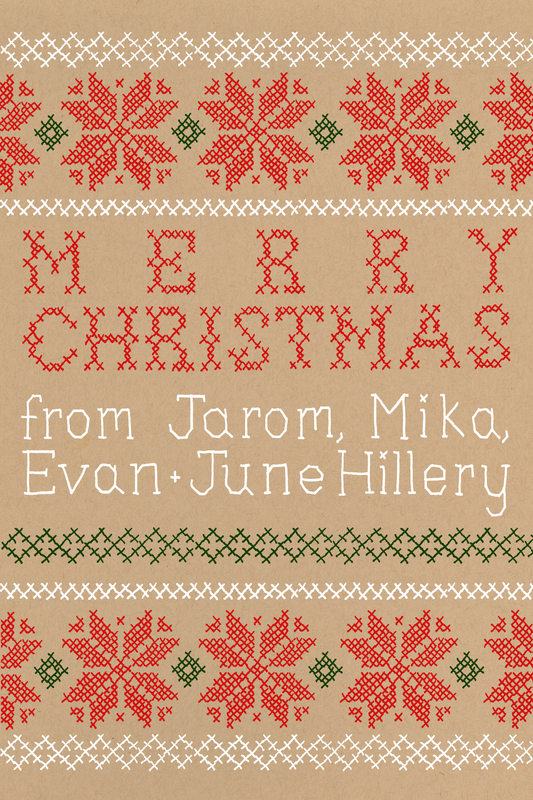 I designed Christmas cards for a friend. 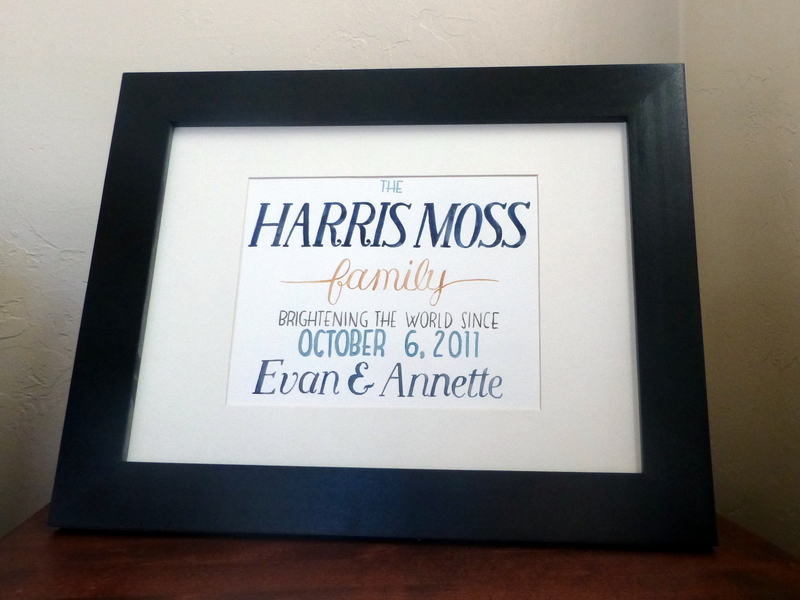 I finished up a baby keepsake I’d been meaning to do for another friend. 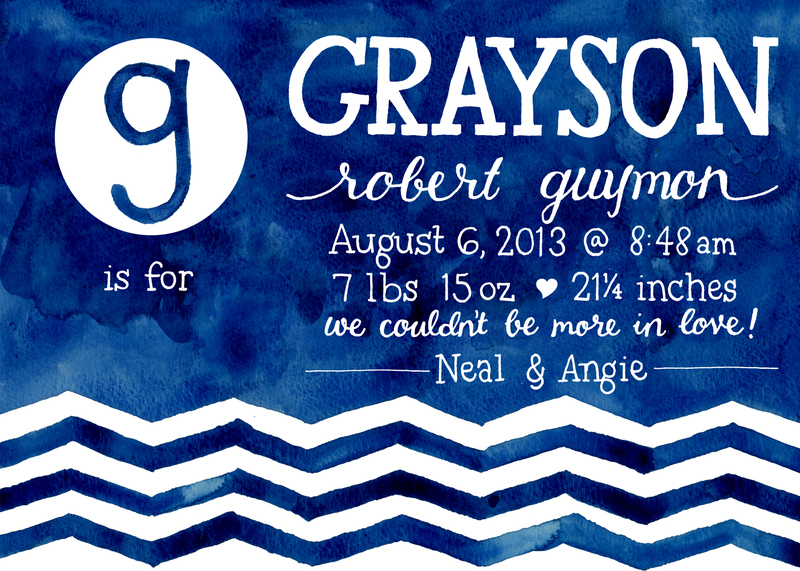 I’m in the process of doing baby announcements for my newest nephew. These projects have all been gifts. I don’t want to charge people – especially friends and family! 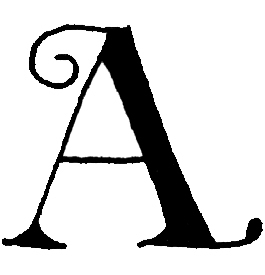 – for amateur stuff. I haven’t looked at Etsy in months; when I do, it’s so disheartening to see work I consider to be inferior even to my designs. And perhaps more disheartening to see work I adore and can only dream of doing. Most of the quotes I’ve designed in the past for use in my shop are not in a style I actually like. It’s what I’m capable of, but I’d never put it up in my house. To be fair, part of that is because I don’t typically like quotes on my walls. Even with that said, though, designing stuff that I dislike and that I perceive as being mediocre quality was just not fun. Kind of miserable, in fact. So I’ve been browsing Etsy and Pinterest again to get a feel for what I would be willing to frame and display in my house. And maybe I’ll start trying something like that. 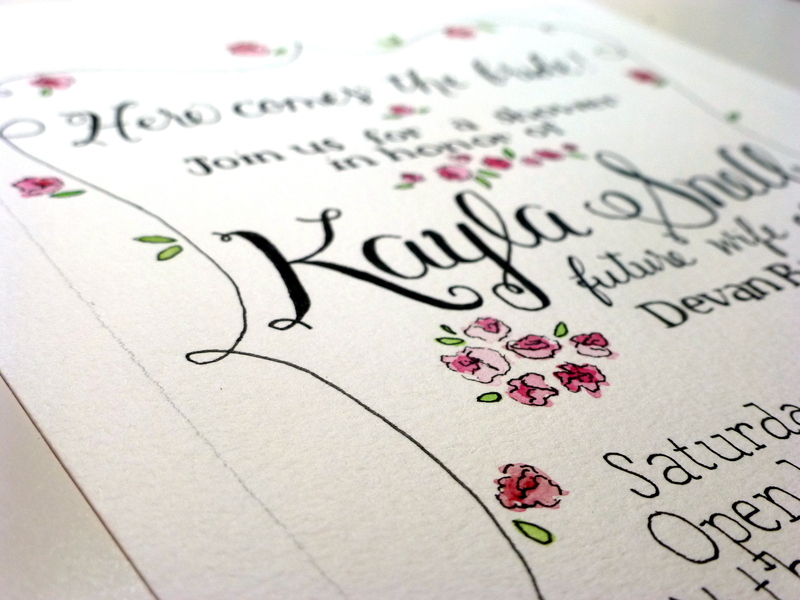 I also really enjoy, in theory, doing custom announcements and invitations. The problem there is figuring out what’s a fair price for my time. And finding customers who are willing to pay that. And then working with clients in a professional manner – I’d much rather say, “Here’s a sketch of a layout. What do you think?” than create multiple polished samples to present as options. Psh. So much work. Maybe once I finish my reading challenges, I’ll open up shop again. 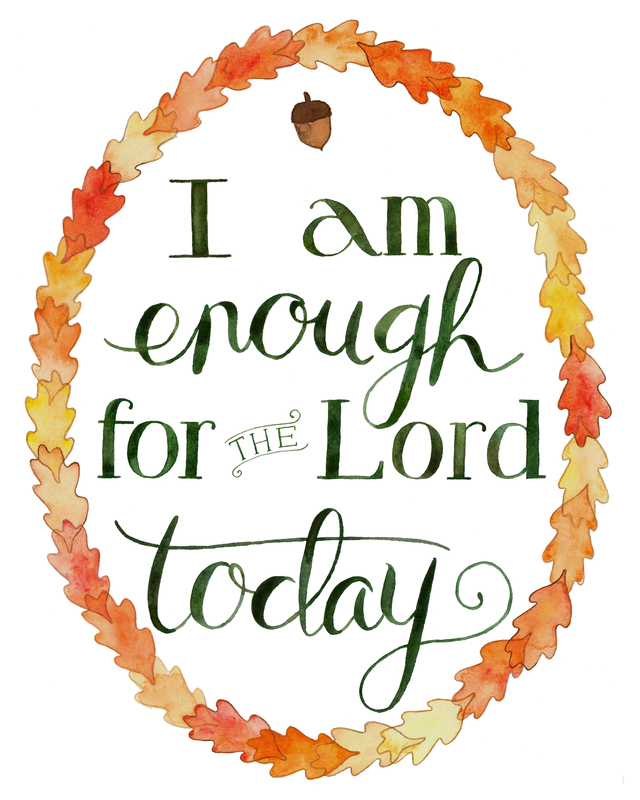 I made this for a church meeting we’re having next Sunday and liked the sentiment so much, I thought I’d share. You can click the image to see it full-size or click here to download. It’s ready to print as an 8×10. I know it’s still amateur, so am I, but enjoy anyway! 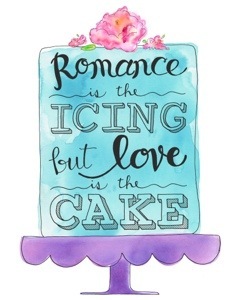 Until tomorrow, I’m selling 8×10 prints of my cake painting for $10! Buy it here. if you live near me (close enough that I could deliver your print to you), use the coupon code “IAMLOCAL” to get free shipping (which is really just me delivering it for you). To enter, leave a comment with a quote you’d like to see made into a print. I’ll pick a winner next Friday, September 20. If there are more than 50 entries (one per person, sorry) I’ll do another giveaway in October. Good luck! 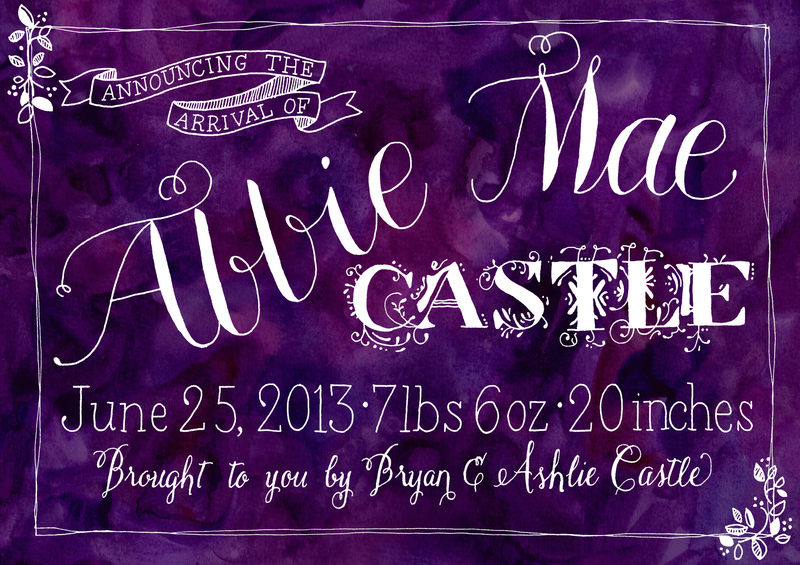 Birth announcement (mockup) for Evan’s best friend’s new little sister – who will be born today! I still need to fix few things, aside from the weight and length, but overall I like the design. 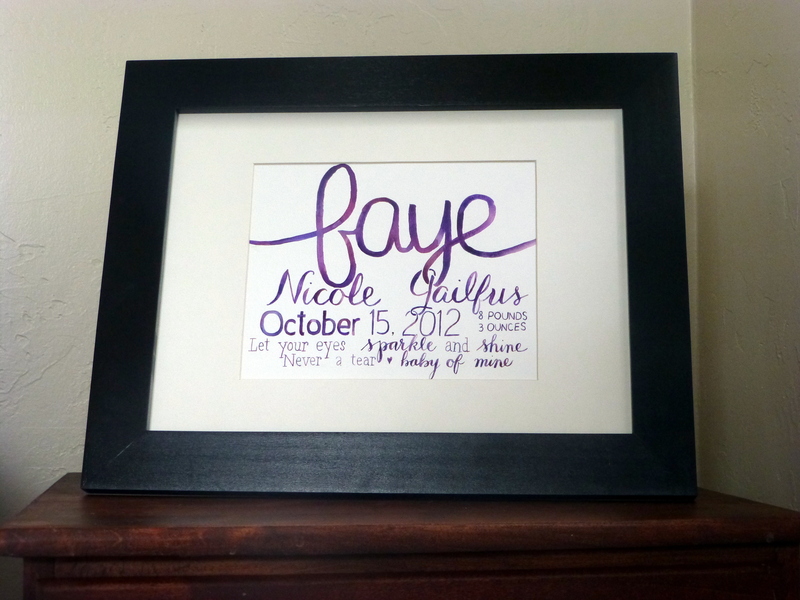 Baby keepsake for my friend Terra’s daughter. The mat is just slightly too small (I had to make do with what was on hand), so it cuts off the text a little bit. 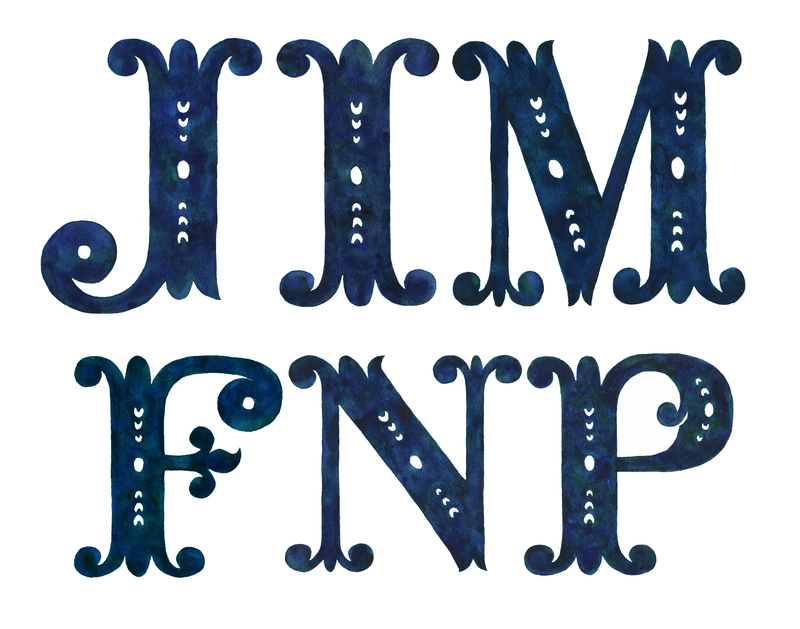 Otherwise, I love the colors and I’m impressed with how well I did the text considering it was many months ago, before I had practiced a lot. 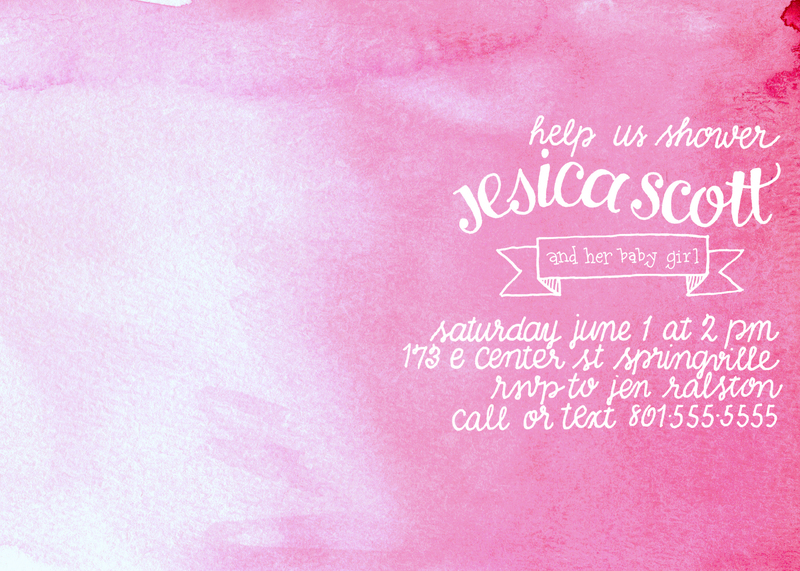 Baby shower invitation for my friend Jesi. This was a redo, as I was unsatisfied with the original that ended up being used. This new invitation is one of my favorites. “Bridal shower in a box” invitations I did for . . . Evan’s best friend’s future aunt. 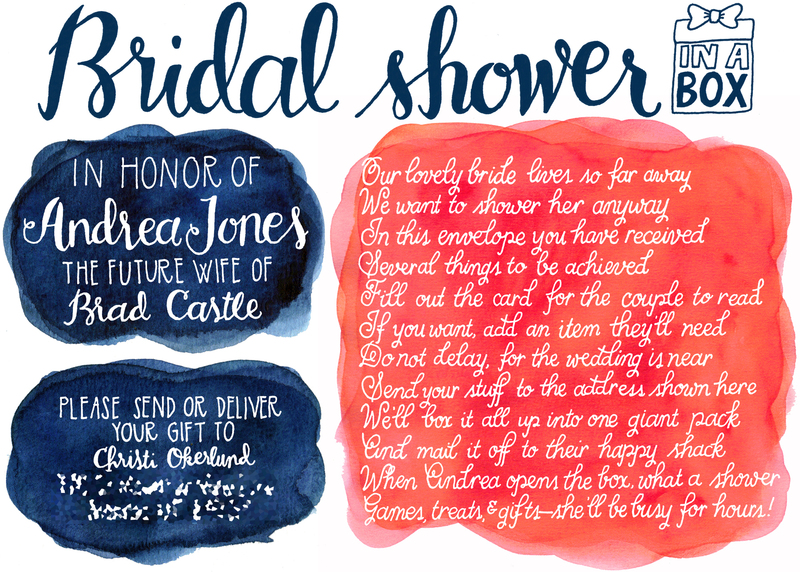 The bride lives in Virginia, but the groom’s family – here in Utah – wanted to throw her a shower, so they came up with the idea of gathering up gifts and sending a party in a box. Someone wrote the poem, and the only guidelines I was given were to use the wedding colors – navy and coral. My hand got REALLY cramped from practicing writing the poem so many times. This isn’t so much a commission as something I did for myself. 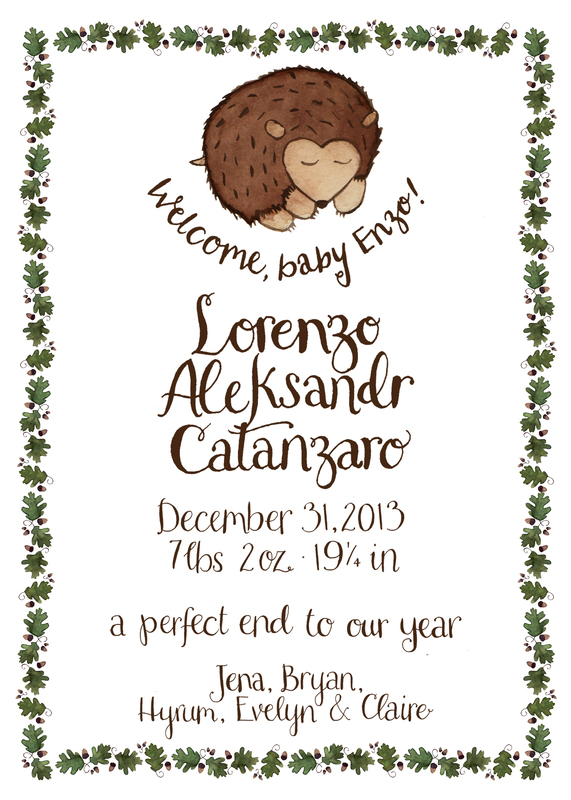 Not getting to design and send out baby announcements was pretty sad. 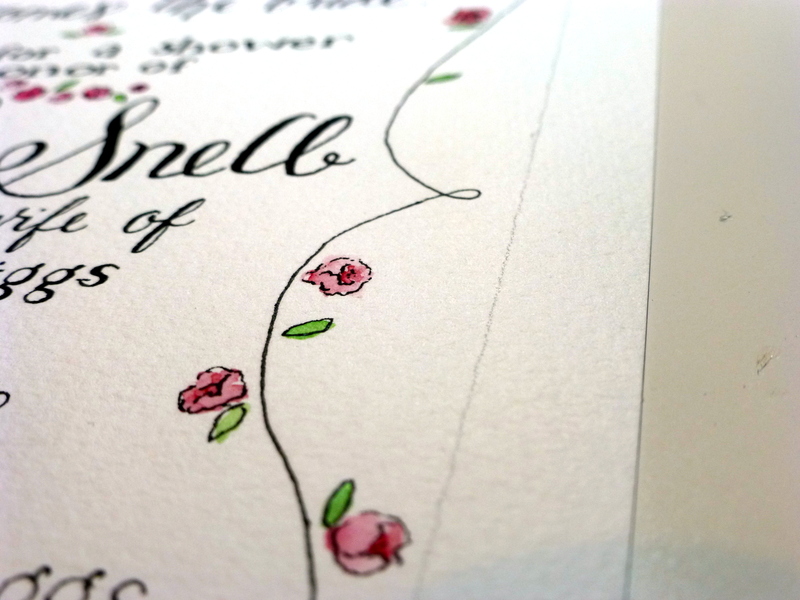 Not only did these watercolor flowers turn out how I wanted, they were even better than I expected. It was a nice surprise!